“Many of Portland’s most prominent figures in business, industry, politics and the professions grew up as residents of a Bayside with tree-lined streets and open trolley cars,” a 1968 City of Portland neighborhood report noted. 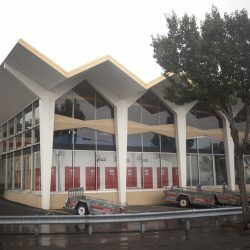 Today, Bayside is undergoing “an energetic transformation … into a first-rate, mixed-use urban district … with a wide range of housing development" (portlandmaine.gov) whose attractions include craft breweries and restaurants, music and theater, galleries, trails – and, of course, a landmark ten-pin bowling alley. 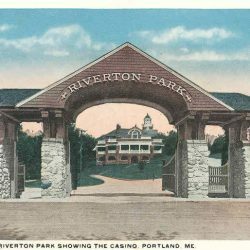 Larger than many people realize, Portland’s Riverton neighborhood extends from Evergreen Cemetery and the University of New England’s Westbrook College campus to the south, and north to popular Riverside Municipal Golf Course and a bit beyond to the Falmouth town line. The Presumpscot River defines Riverton’s western boundary. Celebrated by historians for its departed landmark casino and trolley park, Riverton today is a vibrant community – primarily residential, but also home to thriving local businesses new and old. 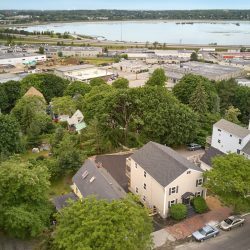 With a working waterfront and panoramic views of Portland Harbor and Casco Bay, South Portland has not only coastal charm, but also the bustling activity of a larger city. 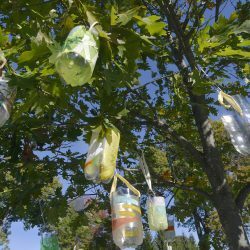 Southern Maine Community College brings students and the Maine Mall brings shoppers, but residential neighborhoods abound. Local restaurants dot the city, offering a taste of various cuisines. 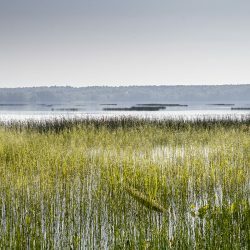 Walking trails and parks give residents plenty of quieter spots to relax, and a beach is never far away. A historic coastal town, Freeport offers plentiful opportunities for peaceful, wooded walks and ocean excursions. Quiet residential neighborhoods are set back from the hubbub of the famed shopping area at the center of town, which is anchored by outdoor retail giant LL Bean. 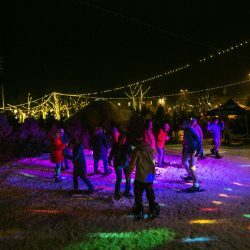 There’s always something to do, as the retail center brings vibrancy with concerts and celebrations throughout the year. 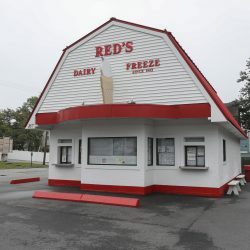 Freeport’s restaurant selection is extensive, and the arts are alive and well here. 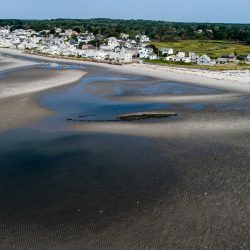 Scarborough is a town of villages, and the enclave of Higgins Beach – “we welcome you, for a vacation or for a lifetime” – may well be its most distinctive and desirable. ‘Higgins’ is renowned for its lovely sandy beach, its classic Maine oceanfront character, and the memory-making quality of life people enjoy here, whether they are year-round residents, summer folk returning season after season, or first-time visitors. At the foot of Munjoy Hill sits the burgeoning neighborhood of Inner Washington Avenue. Notable local restaurants offer a spectrum of dining experiences, and the craft beverage scene is booming. Creative shops and businesses add variety to the area, bringing a sense of the unique. Artisans, foodies, and the outdoorsy can all feel at home among the neighborhood’s historic brick buildings and local shops, living just minutes from trails and breathing in the ocean air. 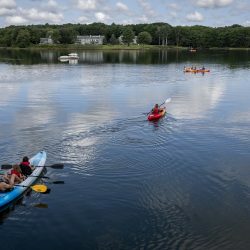 Kennebunkport embodies the qualities that make the coast of Maine so desirable, whether to live in or to visit. It’s a small town (pop. 3,585 in 2016) of wonderful character and great community spirit; is recognized worldwide as the home of two presidents; and is renowned for the beauty of an oceanfront setting that includes fine sand beaches, historic inns, and the classic fishing village of Cape Porpoise. Incorporated in 1762, the pleasantly small town of Bowdoinham (pop. 2,889 in the 2010 U.S. census) offers a relaxed quality of life, and much more: the great physical beauty of its setting on the west side of Merrymeeting Bay; a village center of architecturally distinctive, 19th-century homes; a rich shipbuilding heritage; small, organic farms; and an active community life, from the weekly farmer’s market to the annual Celebrate Bowdoinham event. It’s hard to overstate the beauty of Cape Elizabeth. Picturesque homes overlook the rocky coast, offering views of Casco Bay and its islands. 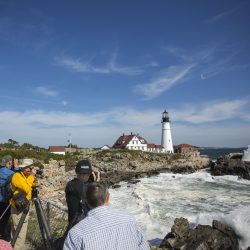 The town’s Fort Williams is home to Portland Head Light, the world’s most photographed lighthouse. Sandy beaches complement the town’s iconic rocky coast, and a drive through ‘Cape’ (as the locals call it) takes you along winding roads lined with trees. Excellent schools, ocean proximity and quiet neighborhoods offer residents an upscale yet laidback lifestyle.